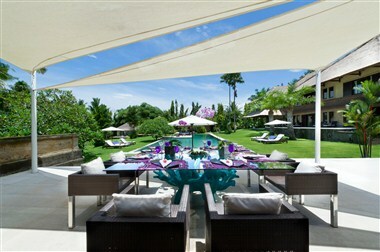 Channelling the energy of its beautiful surroundings, <a href="http://www.chalinavillaestate.com/events.html" title="6 bedroom luxury villa in Canggu, Bali">The Chalina Estate</a> captures the true essence of Bali with its classic architecture, lush tropical gardens and rice-field views. 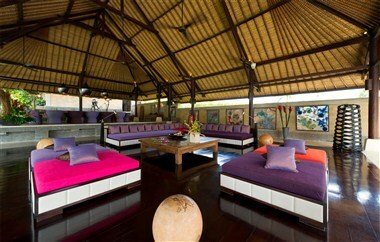 The villa’s serene riverside setting makes it the ultimate choice for weddings and special retreats. 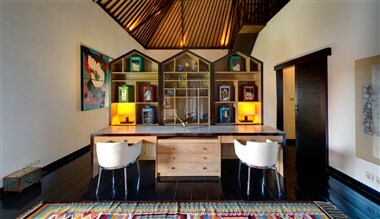 Located in the rural district of Canggu, just minutes from some of Bali’s most revered surf beaches, Chalina Estate offers incredible sunsets with glimpses of the mystical Batukaru volcano in the distance. Chalina Estate’s gorgeous grounds and facilities make it a fabulous venue for weddings and special events for up to 100 people. 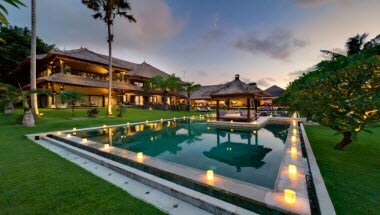 The sloping lawns bordering the Pangi river, offering incredible sunset views over neighboring rice fields and glimpses of the mystical Batukaru volcano in the distance, ensure that guests will never forget this once-in-a lifetime experience. Cancellation policy is to be advised at the time of inquiry. It is strongly recommended that you purchase trip cancellation travel insurance. The Chalina Estate is marketed on behalf of its individual owners by <a href="http://www.marketingvillas.com" title="Bringing your villa to the world">Marketing Villas Ltd.</a>, who handle all the villa reservations. 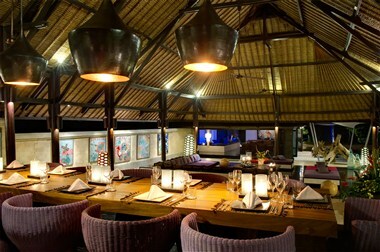 Please contact us further for general and specific event guidelines.